The 3-D WaveScanner combines four advanced technologies. 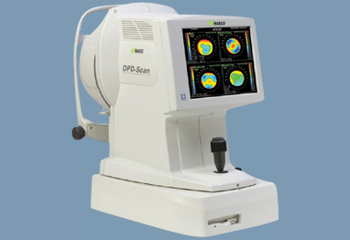 With a single device, Dr. Spencer can obtain Refraction information, Corneal Topography, Optical Path Difference (OPD) information and a Custom Wavefront Analysis. Lasik and Cataract surgery planning begin with having the most accurate picture of your cornea. The 3-D WaveScanner allows Dr. Spencer to evaluate you comprehensively, perform refractive and cataract surgery screenings, evaluate postoperative results, and determine pathology diagnoses. In short, the system gives you vision diagnostic capabilities that in the past were simply unavailable. 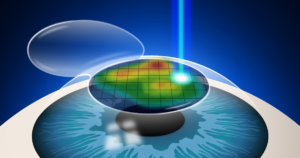 With the remarkable 3-D WaveScanner, Dr. Spencer can evaluate the your total visual system. Measuring both low- and high-order aberrations (distortions in your vision) the 3-D WaveScanner gives us the power to diagnose patient complaints that simply could not be diagnosed before.